In Wayzata’s early-season victory against defending Class 2A state champion Edina, junior forward Mario Lucia scored a third period goal that held up as the game winner. Lucia won’t be there to help the Trojans in Thursday’s rematch. He drew a game disqualification for fighting against Moorhead and must sit out Thursday’s 7 p.m. game at Edina. Without Lucia, who leads No. 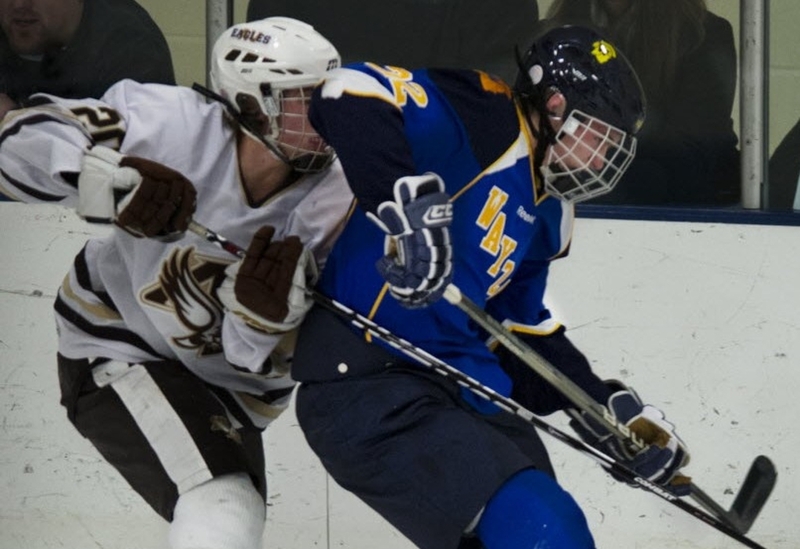 6 Wayzata (12-3) with 17 goals is the top-rated Minnesota high school player according to NHL Central Scouting’s 2011 mid-term rankings, the challenge to beat No. 1 Edina (9-2-2) is greater. Talented linemates Tony Cameranesi (37 points) and Tyler Klein (24) remain, but Lucia’s absence will be noticed. “We count on Mario for a great deal of our success,” Davis said. Lucia will return to the lineup for Saturday’s game against No. 2 Eden Prairie. Edina persevered for one-goal victories in each of its past two games, beating Holy Angels and No. 4 Benilde-St. Margaret’s by 5-4 scores. Michael Fogarty, Michael Sit and Ben Walker lead a swift and skilled group of forwards who put pressure on teams for 51 minutes. Sit and Walker combined for three goals against B-SM while Fogarty posted a three-point game against Holy Angels. Both Edina and Wayzata, Davis said, look different since playing back on Nov. 27.